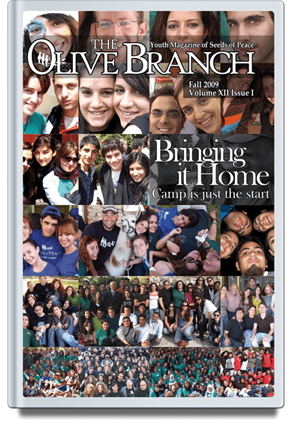 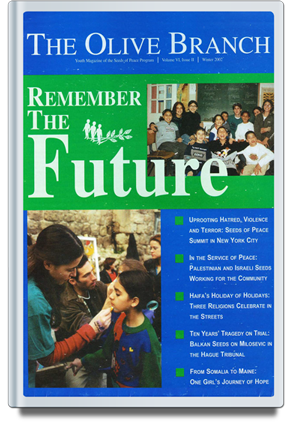 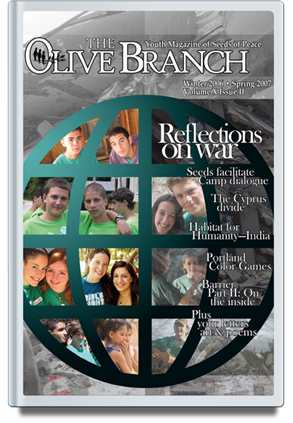 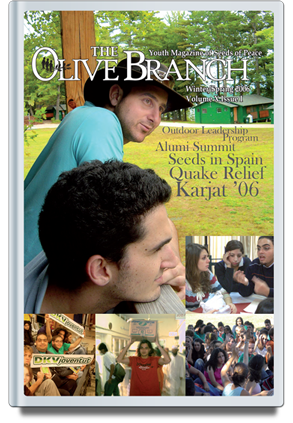 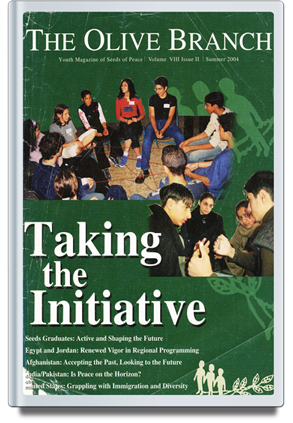 Between 1996 and 2012, Seeds of Peace produced The Olive Branch magazine as a means for Seeds alumni to sustain communication and share experiences with each other and their communities throughout the school year. 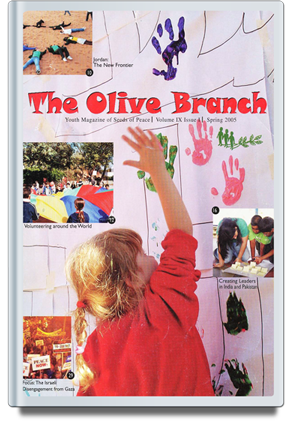 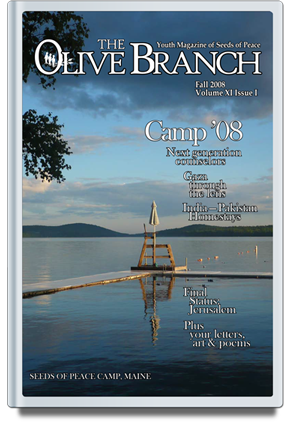 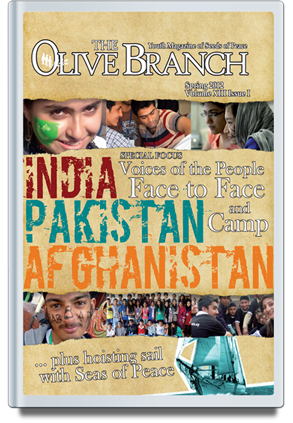 The Olive Branch was researched, written, edited and produced by Seeds of Peace graduates, allowing them to react to current events, share experiences, and maintain open and active dialogue. 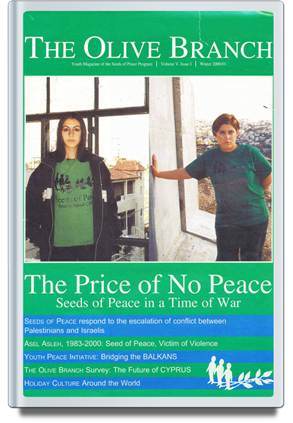 The magazine guaranteed freedom of expression for all Seeds and their wide range of experience and opinions, from Palestinians living under military occupation in refugee camps, to Israeli soldiers sharing their perspectives on checkpoints, to Indians and Pakistanis intensely debating Kashmir. 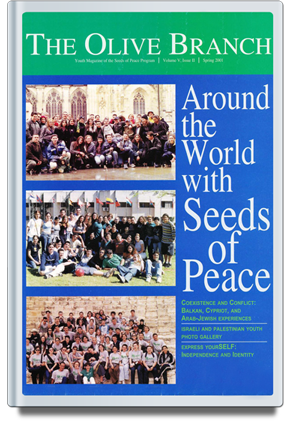 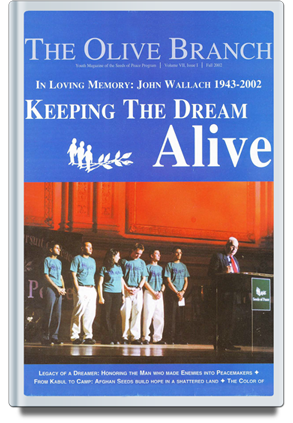 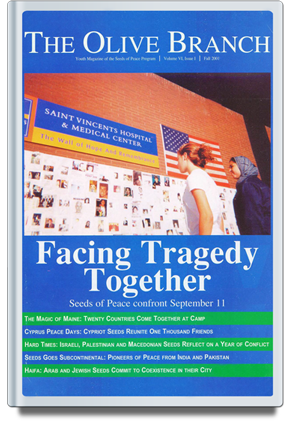 In addition to The Olive Branch, Seeds of Peace also produced two other alumni magazines: Roots and Passport.